The September newsletter reached my inbox and I was delighted to see so many of my favorite authors have books out this month. 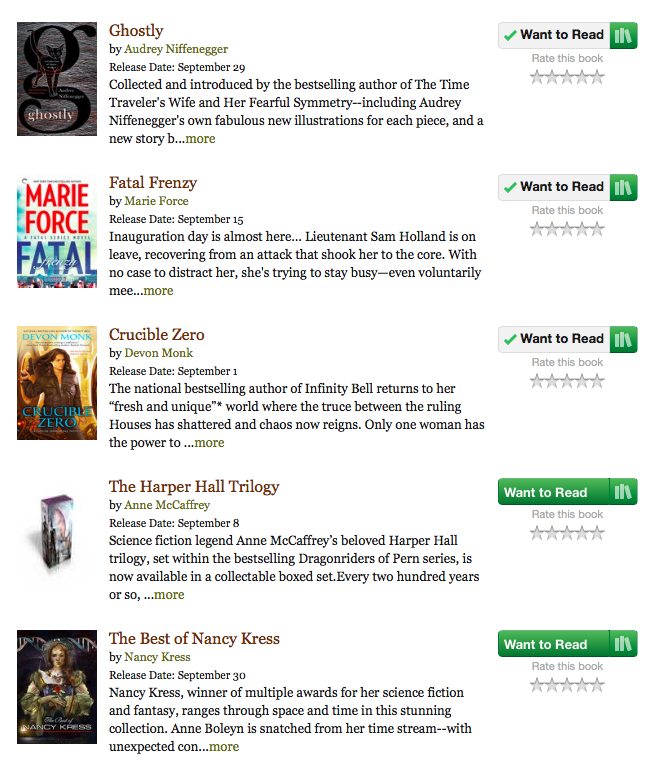 I can’t wait to read all of these books! I’m definitely starting with Sarah J. Maas QUEEN OF SHADOWS because I have been waiting for that book forever! Are any of your favorites on the list? What are you excited to read this month? 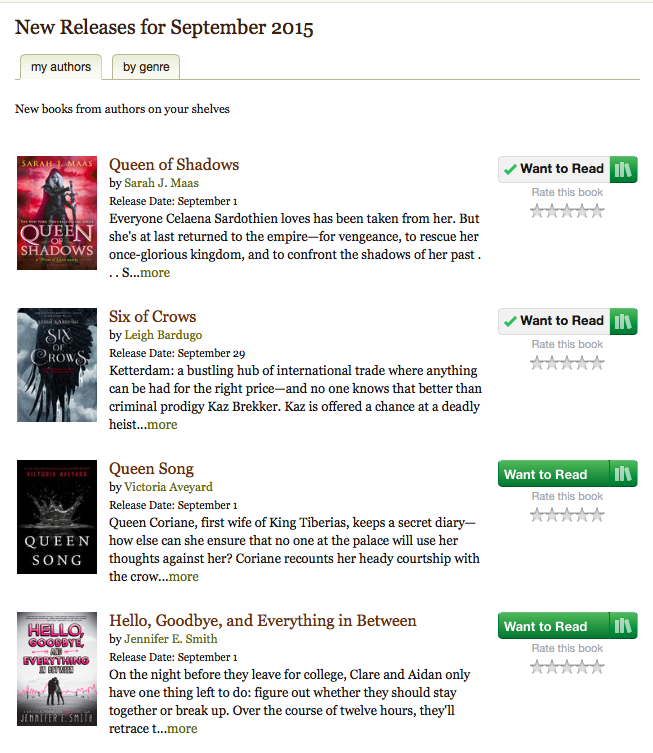 This entry was posted in Books, Fangirl Mode and tagged books, goodreads.